Rebecca Maryan on research, archives and travel. Doing a PhD in Medieval History means I get to travel to lots of different libraries and archives all over the UK. I spend a lot of time in Oxford, Cambridge and London, enjoying the excellent wealth of material housed in beautiful surroundings. I’ve also been as far afield as Edinburgh and Exeter, although not in the same week! Travelling all over the UK is exciting, but the highlight for me is the enjoyment of looking at a wide number of interesting manuscripts. Some of these manuscripts are exceptionally ornate and they all provide a fascinating window into the lives of medieval people. There is nothing like the thrill of finding a new piece of the puzzle that helps me to better understand the past. I like to imagine what life would have been like for the scribe whose handwriting I have been trying to decipher, or the many hundreds of people who must have handled a book over the centuries. Sometimes you can even see their thumbprints pressed into the page. Frequent travel to other universities provides many opportunities for networking. I am able to draw on a wide knowledge base by meeting some of the experts in my field, benefitting from their experience and the feedback they can offer on my research. As my research is very interdisciplinary, it is helpful to have this network of academics who work in different areas, from English literature to the history of medicine. Attending conferences is also a great way of meeting other academics and expanding the horizons of my own research. Some conferences I have attended have been very specific, such as the Colloquium held by the London Medieval Society on ‘Who Read What in the Middle Ages?’, which I attended last year. However, I have also been to interdisciplinary conferences that cover a broader range of approaches, which is very valuable for the purposes of my research. 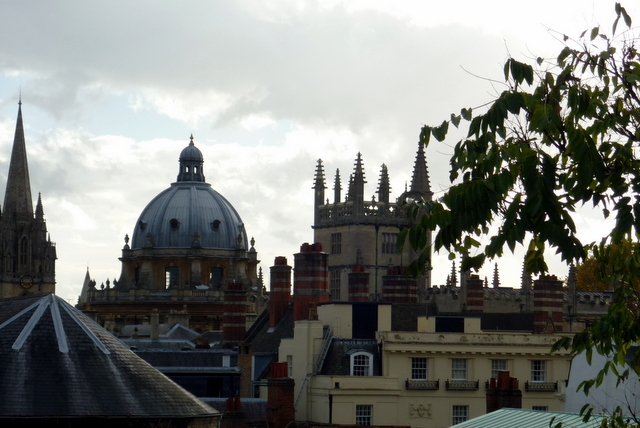 I recently attended the Oxford Blood Conference at the University of Oxford, which looked at medieval and early modern ideas about blood from the perspectives of English Literature, Medicine, and Art. At the other end of the scale, I am presenting a paper at the Leeds International Medieval Conference taking place this July, which is the largest international medieval conference in the UK. I have also undertaken opportunities to get involved with conferences and workshops at the University of Nottingham, such as the Institute for Medieval Research’s ‘IMR@25’ event last summer. Studying for a PhD is a varied and greatly rewarding experience. It can be hard work, but also hugely enjoyable, with no two days the same. I am grateful to be able to continue studying what I love at The University of Nottingham.